I have never been one to wear denim, perhaps it is because I never owned a pair that fit me properly and I never bothered to hunt for it. 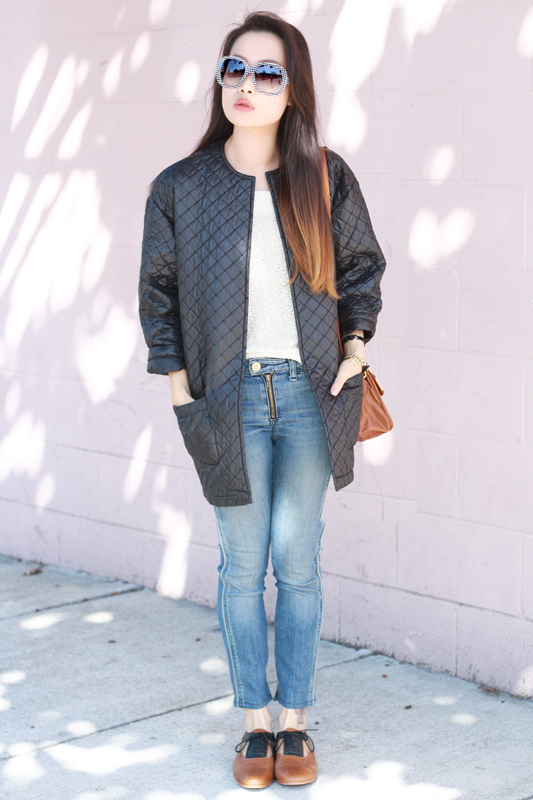 My view on denim is now completely changed since my recent discovery of McGuire Denim. Well, more like, it discovered me. The team at McGuire asked me to try a pair of their Gotham Slim and even altered it for me to fit my petite frame. I haven't been able to stop wearing them ever since! 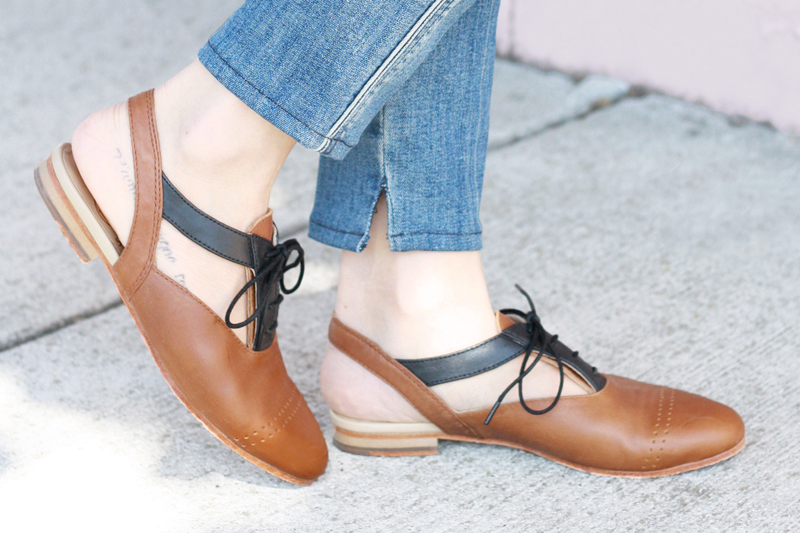 They are super fitted but extremely comfortable and I love the exposed zipper and the slit details at the ankle. They are merely perfect! 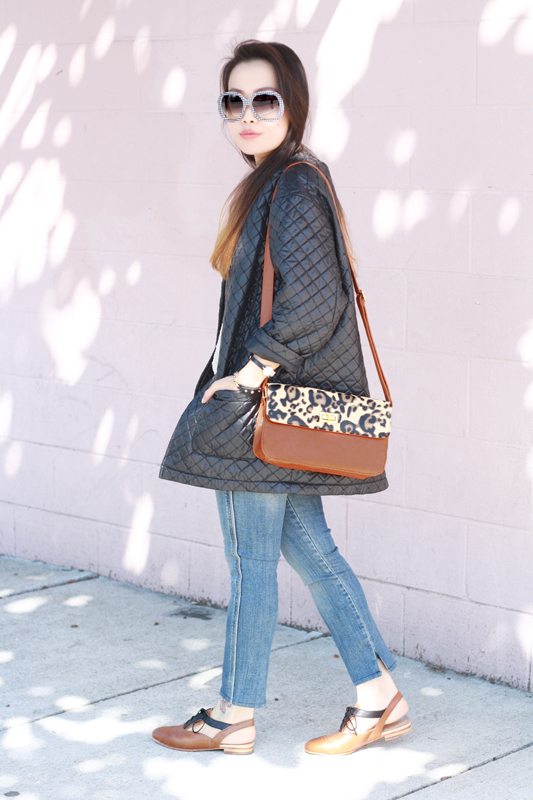 I paired them with this awesome quilted cocoon coat by Motel that has the look of leather and these amazing two tone leather oxford sandals from the Wolverine x Samantha Pleet collection with cut out and slingback details. Well, there you have it, a casual look to romp around town in some of my new favorite things! 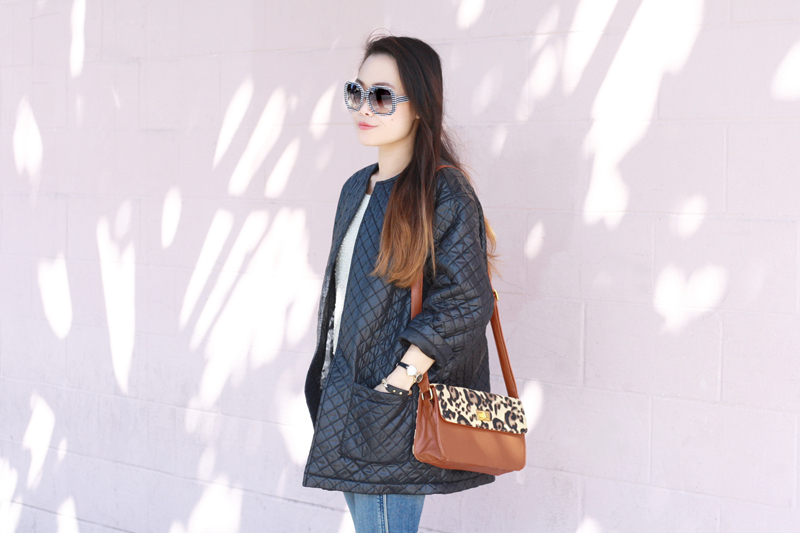 Quilted cocoon coat c/o Motel. Exposed zip Gotham Slim jeans c/o McGuire Denim. 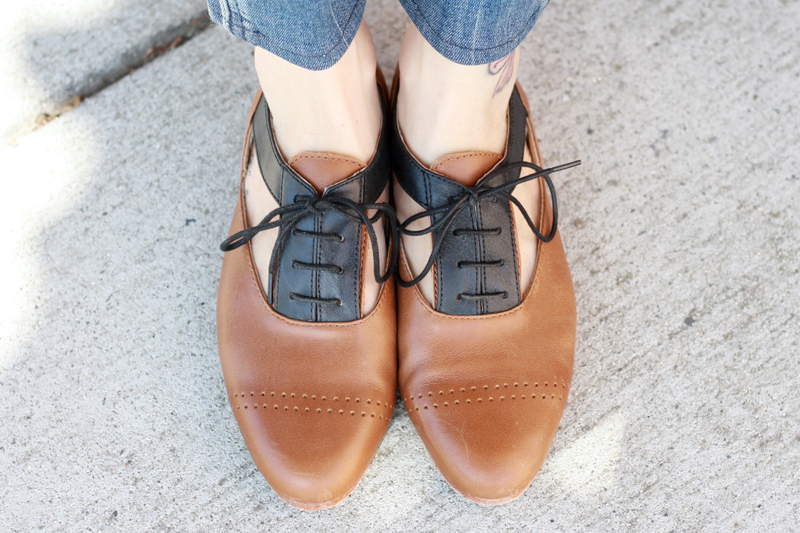 Festival two tone leather oxford sandals by Wolverine x Samantha Pleet c/o Wolverine. 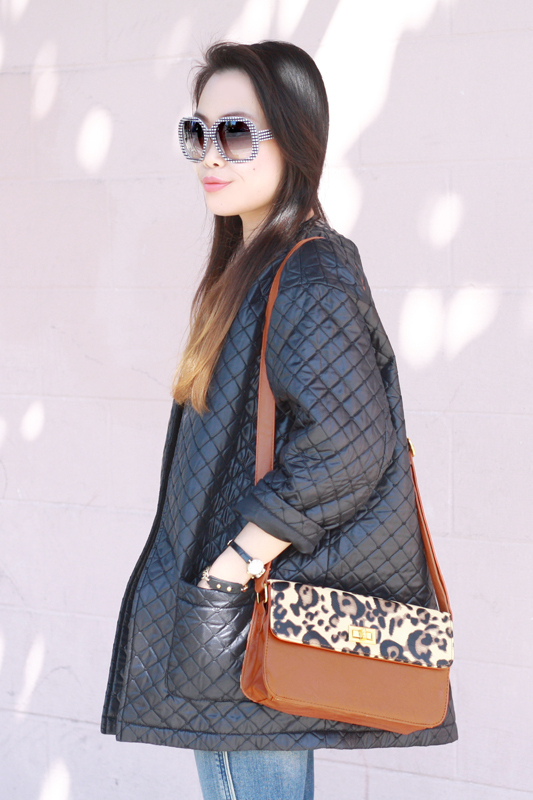 Checkered sunglasses c/o Sunglass Warehouse. 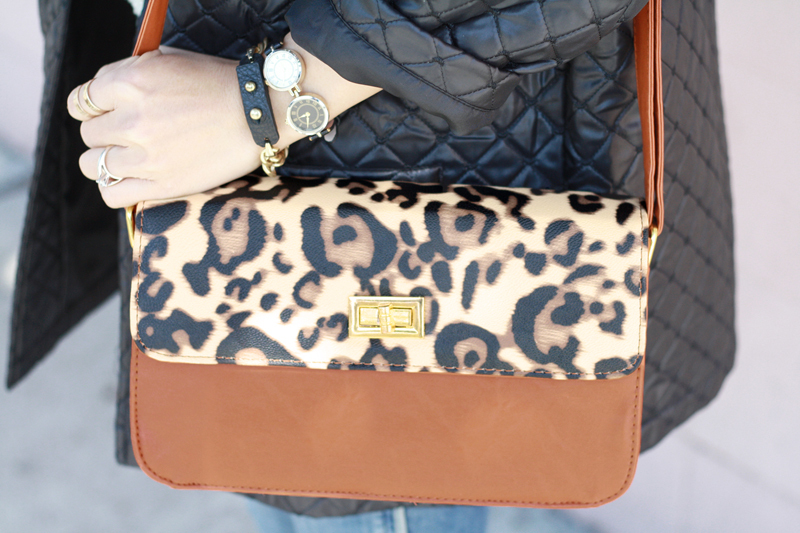 Leopard print colorblock handbag from Hong Kong. Hustle & Flow bracelet c/o Jenny Bird. Double face watch from Urban Outfitters. They are realliy original! Love them and the sunglasses too!